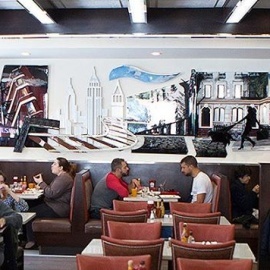 The Rail Line Diner opened its door to Chelsea in September of 2013. Previously known as Moonstruck on the corner of 23rd and 9th for over twenty years. As the neighborhood has changed, we changed right along with it. Although we have a different name, it's the same owner and the same delicious food. 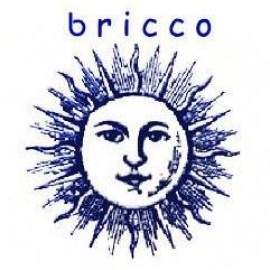 We have an extensive menu you with almost anything you can think of! Whether it is french toast, pancakes, and omelets, or a cheeseburger deluxe there is something here for everyone. We also have a full bar if you're in the mood for a cocktail or a glass of wine with your meal. The Rail Line Diner is a great meetup spot whether it's a date or a night out with your family. We are near the highline, so you can come grab a great meal after some exploring! We look forward to seeing you soon at The Rail Line Diner. 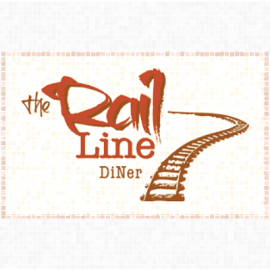 The Rail Line Diner has a new look, but the same great menu. As a gateway to West Chelsea, our neighborhood as everything has to offer: from galleries and the Highline, to shopping and the Hudson River Parkway.